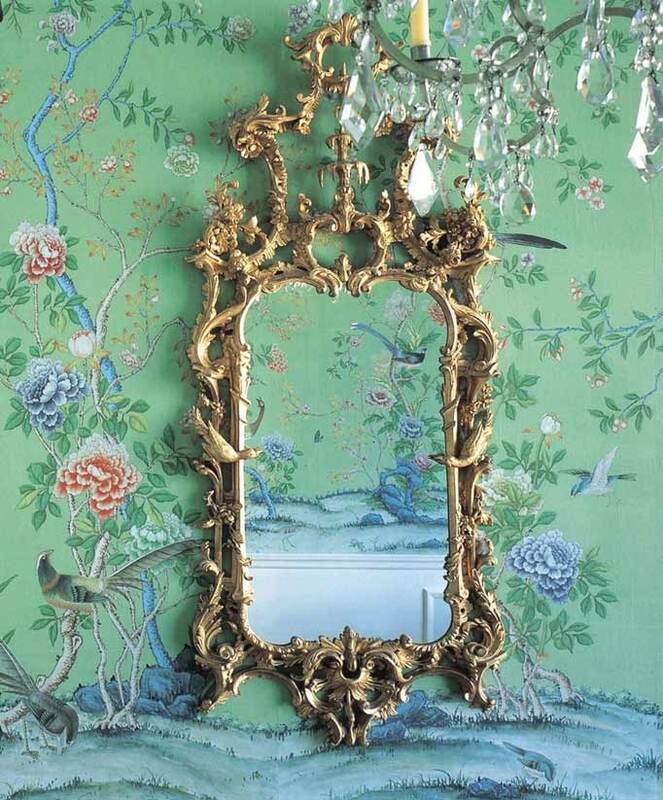 While researching for this blog post, I stumbled upon a blog devoted entirely to Chinoiserie called Chinoiserie Chic. It’s full of all sorts of eye candy featuring “Chinese~esque” designs. 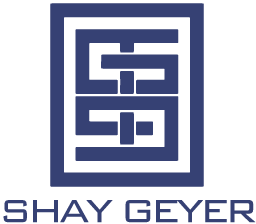 You really should check it out! 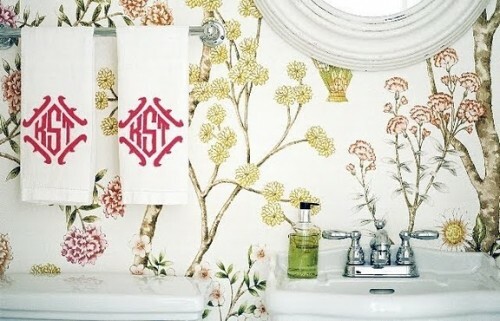 Chinoiserie wallpaper adds a playful & colorful touch to a bathroom. Image via Lonny Magazine. 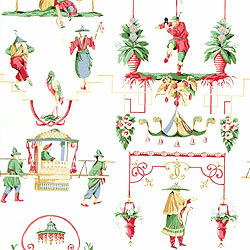 Another gorgeous Chinoiserie wallpaper. Image from Domino Magazine. 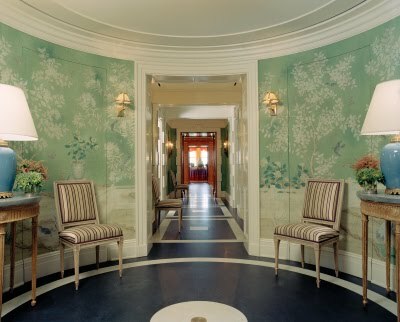 Fashion designer Tory Burch’s entryway features a hand painted Chinoiserie wallpaper by Gracie.